Choosing a college is one of the most important decisions of a young adult’s life. Here, we cover the top colleges in the US in 2018 according to U.S. News. These colleges are widely recognized to be the apex of higher learning, providing the highest quality of undergraduate education to pave the way for the next generation of world leaders, business executives, and Nobel Prize laureates. They are also some of the most selective colleges in America, setting rigorous standards for admissions to identify the students with the most drive and potential. Princeton University is located in Princeton, New Jersey and occupies a coveted spot in the list of Ivy League schools. Founded in 1746, Princeton offers undergraduate and graduate education in humanities, social sciences, engineering, and natural sciences. Princeton has topped the U.S. News best college rankings since 2001, holding the top spot for 15 of the 17 years. Princeton’s Acceptance Rate is lower than the median acceptance rate of Ivy League schools and top 15 schools by U.S. News. In 2017, only 6.1% of applicants were admitted to the undergraduate class out of over 31,000 applicants, while Princeton’s early acceptance rate was 15.4%. Princeton’s highly selective admissions process yielded notable graduates such as Woodrow Wilson, Michelle Obama, Jeff Bezos, and Eric Schmidt. Want to know what separates the 6.1% of applicants who got into Princeton from the 29,166 applicants who were rejected last year? If you’ve read our guide to making your application stand out, you know there are a number of factors that top colleges in the US consider when evaluating your application. Good grades and test scores are a starting point. Here are the range of test scores you’ll want to aim for. 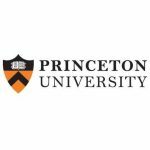 Princeton SAT scores range from 1470-1590, which is one of the higher ranges for SAT scores out of top colleges in the US. You’ll notice that most top schools require similar (high) ACT scores. So make sure you invest in test prep, and don’t be afraid to take the ACT more than once if you don’t initially get your target score! Princeton ranks #11 on the list of best undergraduate engineering programs at schools that offer a doctorate in engineering by U.S. News. Harvard is located in Cambridge, Massachusetts and is on the list of Ivy League schools. Founded in 1636, Harvard is not only the oldest university on the top 15 or Ivy league lists but is also actually the oldest institute of higher learning in the United States. Harvard offers 46 undergraduate degree or concentrations and stresses an “arts and science focus” in their undergraduate education. Harvard consistently ranks as one of the top universities in the world and currently ranks #1 in the Forbes America’s Top College list. 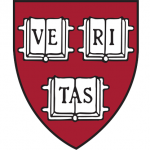 Harvard’s Acceptance Rate is lower than the median acceptance rate of Ivy League schools and top 15 colleges by U.S. News with the lowest acceptance rate in the Ivy’s. In 2017, only 5.2% of applicants were admitted to the undergraduate class out of over 39,000 applicants, while Harvard’s early acceptance rate was 14.5%. Harvard’s rigorous selection process yields evident results as they boast not only notable alumni, but also successful drop outs like Bill Gates and Mark Zuckerberg. Want to know what separates the 5.2% of applicants who got into Harvard from the 37,450 applicants who were rejected last year? 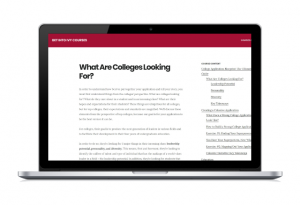 If you’ve read our guide to making your application stand out, you know there are a number of factors that top colleges in the US consider when evaluating your application. Good grades and test scores are a starting point. Here are the range of test scores you’ll want to aim for. Harvard SAT scores range from 1460-1600, which is one of the higher ranges for SAT scores out of top colleges in the US. Harvard ranks #25 on the list of best undergraduate engineering programs at schools that offer a doctorate in engineering by U.S. News. University of Chicago is located in Chicago, Illinois. Founded in 1890, The College of the University of Chicago offers over 100 undergraduate majors, minors, and specialized study. Of the best colleges in the US, University of Chicago is in particular known for their extremely challenging and demanding workload and high academic difficulty. 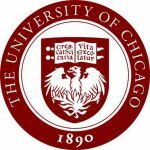 With a focus on “life of the mind,” University of Chicago’s core curriculum for undergraduates covers a breadth of academic disciplines and is one of the most expansive of top college in the US. University of Chicago’s acceptance rate is the median acceptance rate of the top 15 US colleges as ranked by U.S. News. In 2017, 8.7% of applicants were admitted to the undergraduate class out of over 27,000 applicants, while University of Chicago’s early acceptance rate was about 12%. University of Chicago’s focus on education and academics shows as their alumni body ranks one of the highest for percentage that choose to pursue graduate studies in the five years post graduation. Want to know what separates the 8.7% of applicants who got into University of Chicago from the 25,275 applicants who were rejected last year? If you’ve read our guide to making your application stand out, you know there are a number of factors that top colleges in the US consider when evaluating your application. Good grades and test scores are a starting point. Here are the range of test scores you’ll want to aim for. University of Chicago SAT scores range from 1480-1600, which is one of the higher ranges for SAT scores out of top colleges in the US. Yale is located in New Haven, Connecticut and is on the list of Ivy League schools. Founded in 1701, Yale is the 3rd oldest institute of higher learning in the United States and the first to award a Ph.D.. Yale’s undergraduate programs follows a liberal arts curriculum but focuses on “distributional requirements” – required number of credits in broader categories like humanities and arts, sciences, and social studies versus a traditional core curriculum. Yale’s acceptance rate is lower than the median acceptance rate of Ivy League schools and top 15 colleges by U.S. News. In 2017, only 6.9% of applicants were admitted to the undergraduate class out of over 30,000 applicants, while Yale’s early acceptance rate was 17.1%. 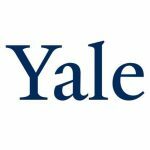 Yale’s strict selection process has yielded strong representation in the political arena, having had representation on a major party ticket for every US presidential election between 1972 and 2004. Want to know what separates the 6.1% of applicants who got into Yale from the 27,964 applicants who were rejected last year? If you’ve read our guide to making your application stand out, you know there are a number of factors that top colleges in the US consider when evaluating your application. Good grades and test scores are a starting point. Here are the range of test scores you’ll want to aim for. Yale SAT scores range from 1430-1600, which is on the higher range for SAT scores out of top colleges in the US. Yale ranks #34 on the list of best undergraduate engineering programs at schools that offer a doctorate in engineering by U.S. News. Columbia is located in New York City, New York and is on the list of Ivy League schools. 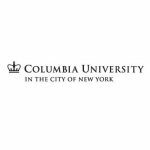 Founded in 1754, Columbia’s undergraduate program consists of Columbia College and Columbia Engineering as well as the School of General Studies, a liberal arts college for students with more than a year gap in their education or are pursuing dual degrees. Columbia’s acceptance rate is lower than the median acceptance rate of Ivy League schools and top 15 colleges by U.S. News. In 2017, only 5.8% of applicants were admitted to the undergraduate class out of over 36,000 applicants, while Columbia’s early acceptance rate was 15.9%. With the second lowest acceptance rate in the list of Ivy League colleges, Columbia has produced many notable alumni including Ruth Ginsburg, JD Salinger, and Upton Sinclair. Want to know what separates the 5.8% of applicants who got into Columbia from the 34,107 applicants who were rejected last year? If you’ve read our guide to making your application stand out, you know there are a number of factors that top colleges in the US consider when evaluating your application. Good grades and test scores are a starting point. Here are the range of test scores you’ll want to aim for. Columbia SAT scores range from 1430-1600, which is on the higher range for SAT scores out of top colleges in the US. Columbia ranks #18 on the list of best undergraduate engineering programs at schools that offer a doctorate in engineering by U.S. News. MIT is located in Cambridge, Massachusetts. 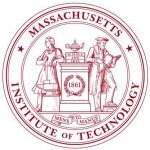 Founded in 1861, MIT is lauded as one of the premier institute for physical sciences and engineering with recent recognition for management, economics, and biology. With a motto of “Mind and Hand,” MIT focuses on applied science and laboratory instruction. MIT has five undergraduate schools – School of Architecture and Planning, School of Engineering, School of Humanities, Arts, and Social Sciences, Sloan School of Management, and School of Science with enrollment heavily skewed for the School of Engineering. MIT’s acceptance rate is lower than the median acceptance rate of the top 15 colleges by U.S. News. In 2017, only 7.1% of applicants were admitted to the undergraduate class out of over 19,000 applicants, while MIT’s early acceptance rate was 8%. MIT’s selective criteria and entrepreneurial culture has resulted in notable alumni behind businesses such as Dropbox, Grubhub, and Zipcar and players on the national and world stage such as Ben Bernanke, Benjamin Netanyahu, and Virgilio Barco Vargas. Want to know what separates the 7.1% of applicants who got into MIT from the 17,582 applicants who were rejected last year? If you’ve read our guide to making your application stand out, you know there are a number of factors that top colleges in the US consider when evaluating your application. Good grades and test scores are a starting point. Here are the range of test scores you’ll want to aim for. MIT SAT scores range from 1460-1600, which is one of the higher ranges for SAT scores out of top colleges in the US. MIT ranks #1 on the list of best undergraduate engineering programs at schools that offer a doctorate in engineering by U.S. News. MIT ranks #2 on the list of best undergraduate business programs by U.S. News. Stanford is located in Stanford, California. Founded in 1885, Stanford has gained a reputation for entrepreneurialism and a close association with the wealth, prestige, and creativity of near by Silicon Valley. Although not officially an Ivy League college, Stanford has become somewhat of a de facto Ivy in its brand recognition and extremely competitive admissions process. Stanford’s undergraduate program consists of three schools – School of Humanities and Sciences, School of Engineering, and School of Earth, Energy, and Environmental Sciences. Stanford’s acceptance rate is the lowest of all the top 15 colleges by U.S. News, including all Ivy League colleges. In 2017, only 4.65% of applicants were admitted to the undergraduate class out of over 44,000 applicants, while Stanford’s early acceptance rate was 9.22%. Stanford’s rigorous selection process, strong academic programs, and entrepreneurial focus has led to graduates that have founded and led some of the biggest names in business, including Google, Nike, Hewlett-Packard, Yahoo!, and Snapchat. In a 2011 study, it was projected that companies founded by Stanford alumni generate about $2.7 trillion in annual revenue. Want to know what separates the 4.65% of applicants who got into Stanford from the 42,023 applicants who were rejected last year? If you’ve read our guide to making your application stand out, you know there are a number of factors that top colleges in the US consider when evaluating your application. Good grades and test scores are a starting point. Here are the range of test scores you’ll want to aim for. 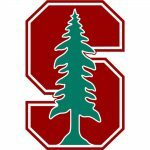 Stanford’s SAT scores range from 1390-1560, which is one of the wider ranges for SAT scores out of top colleges in the US. Stanford ranks #2 on the list of best undergraduate engineering programs at schools that offer a doctorate in engineering by U.S. News. Penn is located in Philadelphia, Pennsylvania. Founded in 1740 by Benjamin Franklin, Penn is on the list of Ivy League school. Penn’s undergraduate program consists of four schools – School of Arts and Sciences, School of Nursing, School of Engineering and Applied Science, and Wharton. Penn’s focus on multidisciplinary education is also evident in the renown dual degree programs such as the Jerome Fisher Program in Management and Technology, the Huntsman Program in International Studies and Business, and the Vagelos Program in Life Sciences and Management. University of Pennsylvania’s acceptance rate is higher than the median for Ivy League colleges and the top 15 colleges by U.S. News. In 2017, only 9.15% of applicants were admitted to the undergraduate class out of over 38,000 applicants, while University of Pennsylvania’s early acceptance rate was 22%. Penn’s selective admissions process and multidisciplinary education has produced the most number of billionaire alums at the undergraduate level, about 5% of the Forbes 400 list published in 2016. Want to know what separates the 9.15% of applicants who got into University of Pennsylvania from the 35,219 applicants who were rejected last year? If you’ve read our guide to making your application stand out, you know there are a number of factors that top colleges in the US consider when evaluating your application. Good grades and test scores are a starting point. Here are the range of test scores you’ll want to aim for. University of Pennsylvania’s SAT scores range from 1380-1600, which is one of the wider ranges for SAT scores out of top colleges in the US. 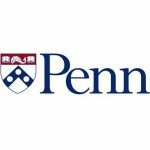 University of Pennsylvania ranks #25 on the list of best undergraduate engineering programs at schools that offer a doctorate in engineering by U.S. News. University of Pennsylvania ranks #1 on the list of best undergraduate business programs by U.S. News. Duke is located in Durham, North Carolina. Founded in 1838, Duke is consistently ranked as one of the top colleges in the US. Duke’s undergraduate program includes the Trinity College of Arts & Sciences which accounts for about 80% of undergraduate students and the Pratt School of Engineering. Trinity College focuses on a liberal arts education, offering 48 majors, 50 minors, 26 various interdisciplinary certificate. Duke’s acceptance rate is higher than the median for the top 15 colleges by U.S. News. In 2017, 10% of applicants were admitted to the undergraduate class out of over 34,000 applicants, while Duke’s early acceptance rate was 24.5%. Duke has many notable graduates in politics, business, and sports from its Division I teams including Richard Nixon, Tim Cook, Melinda Gates, Kyrie Irving, and Shane Battier. Want to know what separates the 10% of applicants who got into Duke from the 31,201 applicants who were rejected last year? If you’ve read our guide to making your application stand out, you know there are a number of factors that top colleges in the US consider when evaluating your application. Good grades and test scores are a starting point. Here are the range of test scores you’ll want to aim for. Duke’s SAT scores range from 1440-1570, which is on the higher range for SAT scores out of top colleges in the US. 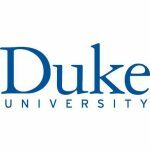 Duke ranks #20 on the list of best undergraduate engineering programs at schools that offer a doctorate in engineering by U.S. News. Caltech is located in Pasadena, California. Founded in 1891, Caltech has, by far, the smallest undergraduate program of the top 15 colleges in the US by undergraduate enrollment. Caltech’s undergraduate education emphasizes technical arts and applied sciences with six academic divisions with strong focus on science and engineering. Caltech academic options (or majors) fall under the six academic divisions – Biology and Biological Engineering, Chemistry and Chemical Engineering, Engineering & Applied Sciences, Geological & Planetary Sciences, The Humanities & Social Sciences, and Physics, Mathematics & Astronomy. Caltech’s acceptance rate is lower than the median for the top 15 colleges by U.S. News. In 2017, 7.7% of applicants were admitted to the undergraduate class out of over 7,000 applicants, while Caltech’s early acceptance rate was 11.6%. Caltech’s smaller undergraduate and graduate programs have nonetheless produced numerous notable alums who have founded or co-founded companies such as Hotmail, Compaq, and Intel. Want to know what separates the 7.7% of applicants who got into Caltech from the 6,771 applicants who were rejected last year? If you’ve read our guide to making your application stand out, you know there are a number of factors that top colleges in the US consider when evaluating your application. Good grades and test scores are a starting point. Here are the range of test scores you’ll want to aim for. Caltech SAT scores range from 1510-1600, which is the highest range for SAT scores out of top colleges in the US. 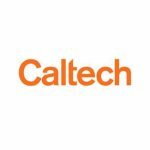 Caltech ranks #4 on the list of best undergraduate engineering programs at schools that offer a doctorate in engineering by U.S. News.